Now you can easily mix external signals with your iPod*/iPhone* audio stream. Bring in a click track for live performance; blend in the feed from your monitor system; combine the output of your mixer with your MP3 backing tracks. 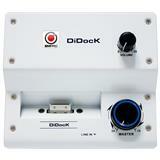 Front-panel controls let you quickly create independent master and monitor/headphone mixes. Is the drummer playing to a click track? The audience will never know! 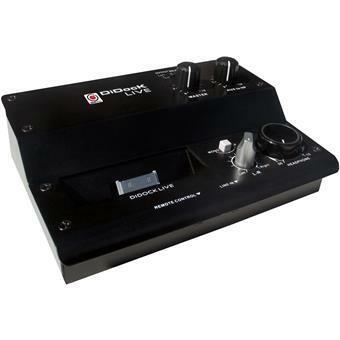 Also features balanced transformer-isolated XLR outputs, Left/Center/Right output select switch, a “charger” mode for making sure your iPod* is always ready to roll, and a remote control input for operating the iPod*. 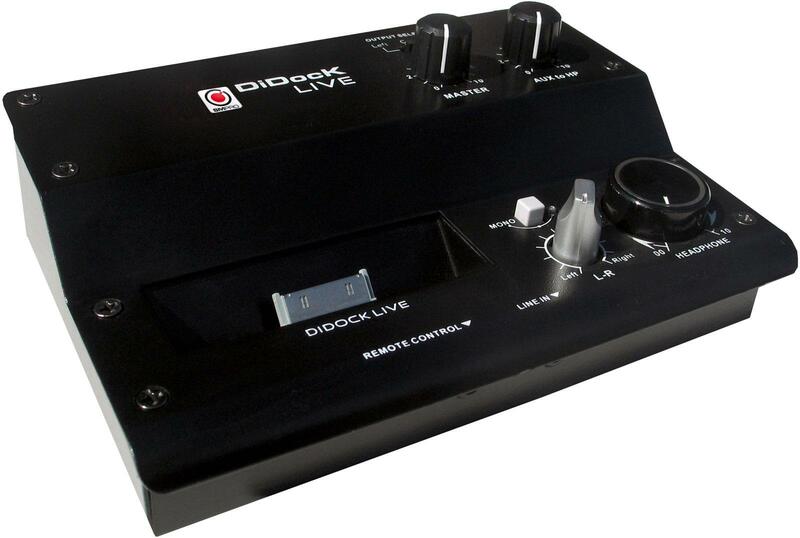 The DIDock Live is available in black or white!